Evozyme Multi-purpose E Concentrate 10X and 20X, with its non-ionic surfactant, is an excellent choice when waste needs to be broken down quickly. Evozyme Multi-purpose E Concentrate is a liquid bacterial solution fortified with enzymes to accelerate the degradation process and formulated with an non-ionic surfactant to increase dispersion. In Evozyme Multi-purpose E Concentrate, enzymes and bacteria form a powerful combination which is able to break down waste quickly. By adding an enzyme to the bacterial formulation, large particles of organic matter can be broken down for the bacteria. The result is a fast acting formula. To increase the wetability, cleaning and degreasing properties, the Evozyme Multipurpose E Concentrate is formulated with a non-ionic surfactant. 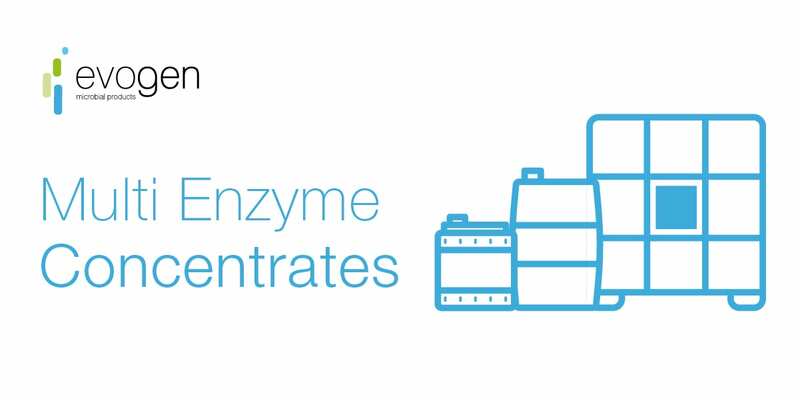 Non-ionic surfactants provide the most detergency and facilitate dispersion, thus making the Evozyme Multipurpose E Concentrate an excellent choice when degradation power must be combined with increased dispersion properties. 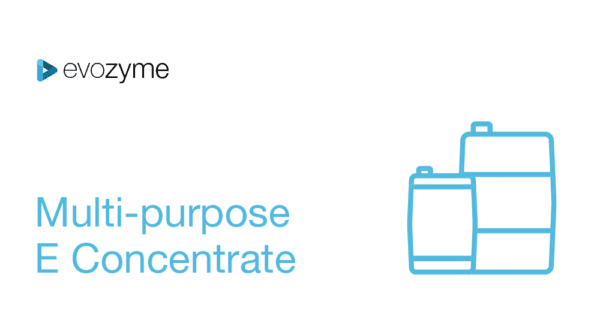 Evozyme Multi-purpose E Concentrate is available in both 10X and 20X concentrations.